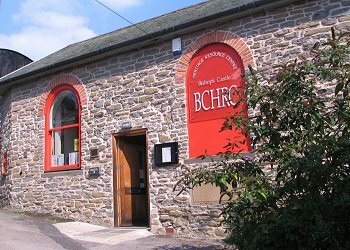 BCHRC is becoming a fully fledged Local History Centre involved in some exciting new initiatives. On this site, you'll get a taste of the breadth of activities at Bishop's Castle Heritage Resource Centre. We are involved in community heritage projects, often linked to the town's museums and in a range of educational activities. We are always happy to hear from schools, individuals and groups of all ages. We are open on Saturday mornings as a Local History Centre, hosting a growing collection of research resources. A fascinating new interactive map and historical archive detailing the 34 pubs known to have existed in Bishop's Castle. In our museum standard store we hold heritage items belonging to individuals and organisations who want to preserve their archives, as well as the reserve collection from the House on Crutches Museum Collection Trust. This collection depicts rural life in this corner of South West Shropshire and much of it can be viewed online.